Once in a blue moon someone hands me music proclaiming, “you’re gonna like this”, and is actually on the mark. 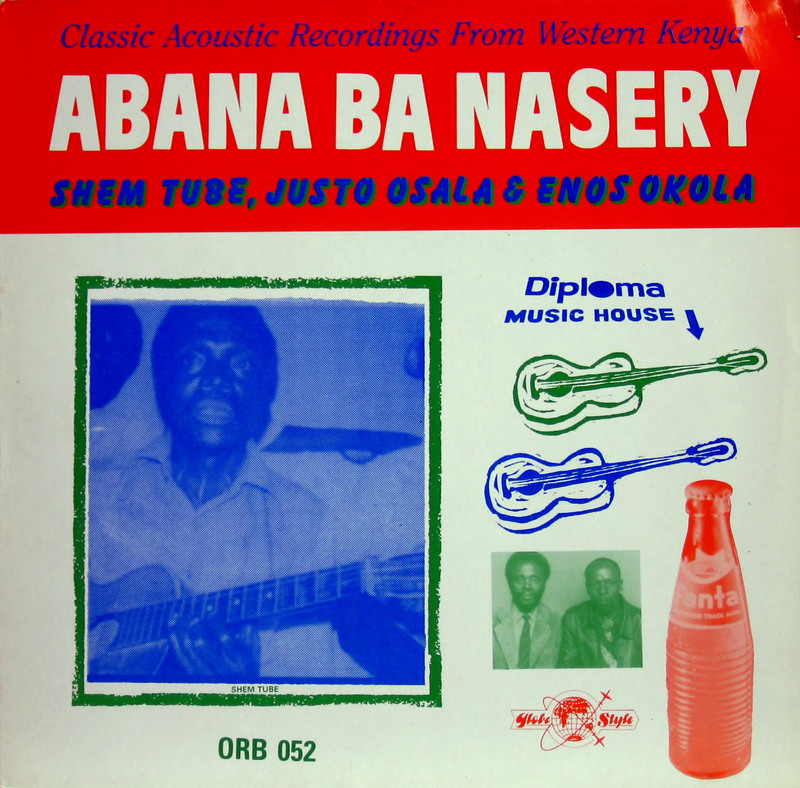 David Flower of Sasa Music nailed it on the head when over a pint in Islington he conferred on me a copy of the Omutibo (created by the Luhyia people of western Kenya) group Abana Ba Nasery‘s 1989 compilation of songs recorded in the 60s and 70s, Classic Acoustic Recordings from Western Kenya. My first blog post ever featured pre-Benga Kenyan music. Abana Ba Nasery’s music is cut from the same cloth as the Before Benga comps. The lineup consists of a trio of “big” guitar and “little” guitar, and a bottle player (Fanta to be exact) – Shem Tube, Justo Osala, and Enos Okola. Bursting with energy, brimming over with warmth and enthusiasm, this is music to fill your soul with the most positive of vibrations. Hey, these guys are great. I have another album of theirs if you ever want a listen..
yeah, beautiful stuff. is it the “nursery boys go ahead” cd? i have that one…if something else, it’d be great to get it from you!